Earlier, the Iranian Defense Ministry announced plans to overhaul and manufacture more than 700 domestically-built tanks, including Karrar (Striker), part of the country's plans to boost its defense power. Brigadier General Kiomars Heidari, commander of the Iranian Army Ground Forces, has signaled a willingness to provide "friendly and brotherly countries" with Iran's latest achievements in the defense industry, according to the Iranian news agency Tasnim. 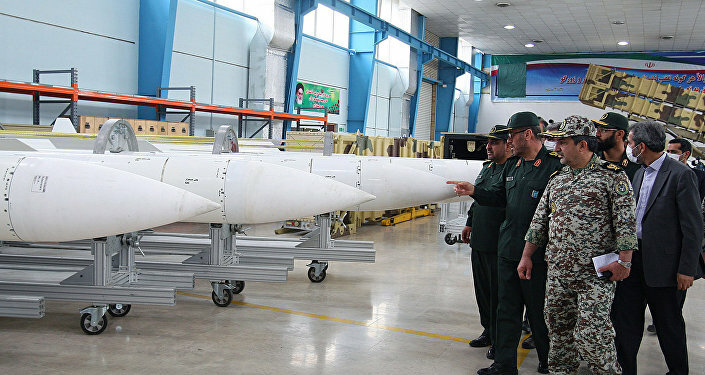 Heidari underscored that "the bright ideas are detected and sponsored for mass production" as the Iranian Armed Forces continue to deepen their interaction with defense companies. His remarks came after a defense exhibition opened in Tehran on Monday to showcase the most advanced military equipment, developed in cooperation with the local knowledge-based companies. The exhibition's highlights included an octocopter capable of carrying cargo, a fireproof, waterproof and anti-shock ammunition box as well as a command and control system for telecommunication networks. Last month, Tasnim cited an Iranian Defense Ministry spokesperson as saying that the Iranian Army and the Islamic Revolution Guards Corps (IRGC) will receive up to 800 domestically-built tanks, including the state-of-the-art Karrar (Striker) which is especially known for its firepower, precision and mobility. Earlier, Iranian Defense Minister Amir Hatami pointed out that the country's "Armed Forces, which enjoy modern and advanced equipment, are fully prepared to give a crushing response to any ill-wishing aggressor." The past few years have seen Iran making major forays in its defense sector and attaining self-sufficiency in producing sophisticated military hardware. Tehran has repeatedly underscored that its defense power poses no threat to other countries and is based on the deterrence doctrine. We Had a Deal: Will US Hostility Compel Iran to Reconsider Nuclear Defense? Peaceful Defense: What's Behind Iran's Decision to Send More Advisors to Syria?